Memory Lamps - Say It With Light! "That your light may always shine....."
A gift that will bring light into the darkest moments of grief. Many people set aside a place in their home where photos and keepsakes of a loved one gather. 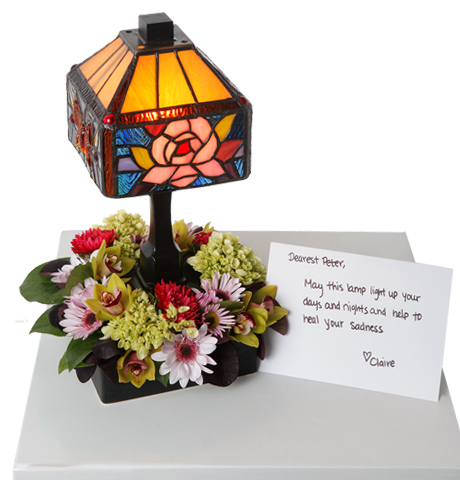 What better gift than to send a beautiful one-of-a-kind lamp to spread a gentle glow....lighting the way for memories to gather and bring comfort to a grieving heart.